Some people like to play the lottery by letting a computer make their quick picks, or by picking random numbers themselves. Others like to be more methodical about the numbers they play. 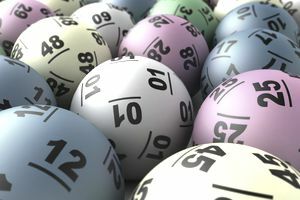 For people who enjoy creating lottery systems, knowing the most popular lottery numbers offers up some interesting strategies. One line of thinking is that if certain numbers come up more frequently than others, then they are the best ones to play. You can create a lottery strategy by mining the lottery data to find which numbers are drawn most often and playing those numbers. Another way of thinking is that if a number has appeared recently, it is less likely to show up again. It's like if you've just flipped a coin three times and it's landed on heads each time, then you might bet on tails showing up the fourth time. To use this strategy, map out which numbers have been popular recently and avoid selecting them on your lottery tickets. If you'd like to get a little fancier with your lottery strategy, you can also look at the combinations that are most often drawn as winners. Does 3 show up most often with 59? You can also look for other patterns, like how many odd versus even numbers appear, or how often consecutive numbers tend to be drawn. There are a lot of different ways to mine the data if you enjoy looking for patterns. If you want to look at popular numbers for a specific time range, you can get them directly from the lottery's website. For example, Powerball.com lets you put in a start and end date and will display all the winning numbers during those dates. This is particularly useful when you are trying to avoid numbers that have been played recently since you only want to consider the last few drawings. The results are easy to gather and it's easy to determine how popular each of the winning numbers are. If you want to play the most popular lottery numbers, you'll want to gather data over a long time period. In this case, you can simplify things by using a website like LottoNumbers.com, which does all the work for you. They let you pick a date range that spans a set of years, in order to track a frequency count for that range. Just remember that changes in the way the lottery is played may affect the popularity of the numbers. For example, in 2015, Powerball added ten more numbers to its main pool of white balls and reduced the number of possible red Powerball numbers from 35 to 26. This might slightly skew which numbers are the most popular. 61, 64, and 69: Drawn 12 times each. 7, 17, 23, 27, 38, 45, and 53: Drawn 10 times each. 9, 21, 24, 25, 28, 42, 50, 57, 59, and 62: Drawn nine times each. 21 and 26: Drawn seven times each. 15, 18, 22, and 25: Drawn five times each. 60 and 66: Drawn three times each. 16, 31, and 48: Drawn four times each. 2, 30, 32, 49, and 65: Drawn five times each. 1, 2, 4, 5, and 23: Drawn two times each. 3, 6, 10, 14, 17, and 19: Drawn three times each. Lottery strategies can be fun to develop and to play, but are they effective? The answer, generally, is no. Each number has an equally-high chance of being drawn, regardless of past performance. Just because a number has been drawn many times in the past, doesn't mean it will show up when you play. And just because a number was a winner in the last drawing, doesn't mean it won't show up again in the next one. Using popular numbers to create a lottery strategy can be fun to do, but statistically, it won't change your very, very long odds of winning a lottery jackpot. So remember to play responsibly and not to spend any money on tickets that you can't afford to lose. Which Numbers are Most Popular?